Joico is a brand that is a part of a well-known Shiseido group, offering professional cosmetics. Therefore, Soothing Balm is an American product. I must admit that at the beginning, I was sceptical towards this cosmetic. My friend convinced me and I decided to try it out myself. Why? Due to the fact that the balm is supposed to straighten hair, whereas my hair is always weird – not curly and not straight. I wanted it to look sleek and glossy. 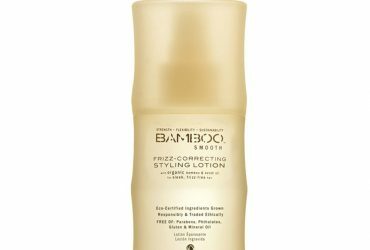 The product does not contain strong chemicals that might cause damage to hair. In my opinion, it is a big advantage! 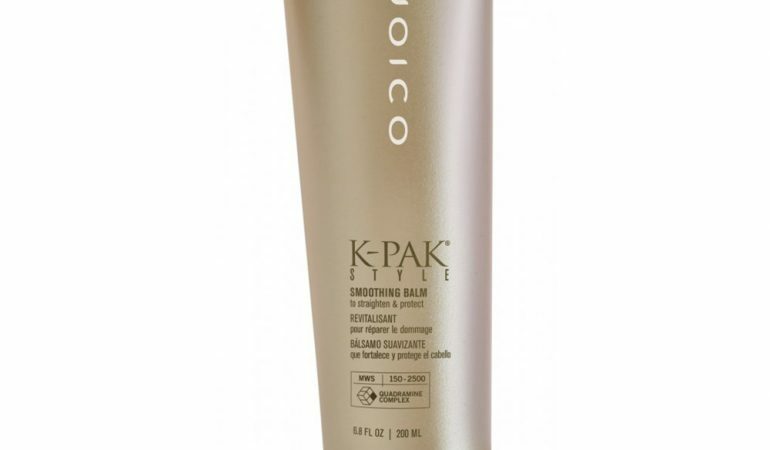 🙂 The effects of K-Pak Smoothing Balm are based on heat-activated Keratin Silicone Complex. This ingredient is responsible for the straightening properties of the product. 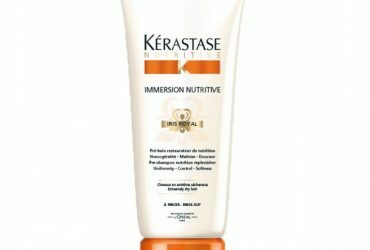 What is more, it also contains Quadramine Complex – a typical K-Pak component, responsible for nourishing, regeneration and straightening. There is not much more to know bout the composition. I do believe that it is safe. It did not cause any allergic reaction or irritate me. I did not notice any side effects, however, keep in mind that someone else might react differently to it. What else can I say about Joico hair balm? It is enriched with golden particles which reflect sun rays during sunny days. Hair gains natural reflections and beautiful shine. However, this product is hard to classify to any particular group of hair care cosmetics. In my opinion, it ranks somewhere between nourishing and styling products. What is more, personally, I think that this combination works really well. I like multitasking products. 🙂 Additionally, this cosmetic has a beautiful coconut scent. Unfortunately, the packaging is not practical. 150 ml tube is rather limp which makes its use not very easy. It is important for me, however, I am sure that there are people who might not mind it at all. Everything would be all right if it was not for the….use. 🙁 The biggest disadvantage of the product is that it must be heat-activated to allow the active ingredients to work properly. I am trying to reduce the use of a hair straightener, however, the best results are visible only after using hot styling tools. I really wish that the product worked in a different way so I could finally stop using hair straightener and enjoy smooth and sleek hair. Nevertheless, the product used as it should be, works really well. combination of nourishment and styling.